Cowes Harbour and the River Medina see over 30,000 movements of commercial vessels each year, as well as a constant flow of leisure traffic on passage to and from marinas and river moorings. Good seamanship calls for the fairways, which extend from the northernmost harbour limit near Prince Consort buoy to the Folly Inn and beyond, to be navigated with caution and due regard to other vessels. In particular, all vessels are required to keep to the starboard side of the fairway when practicable. However, large commercial vessels can often only navigate in the centre of the fairway and smaller vessels must not impede their passage. 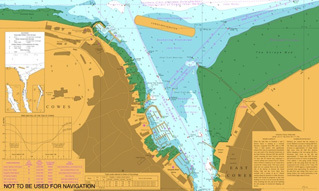 Diagram of Cowes Harbour Fairways. 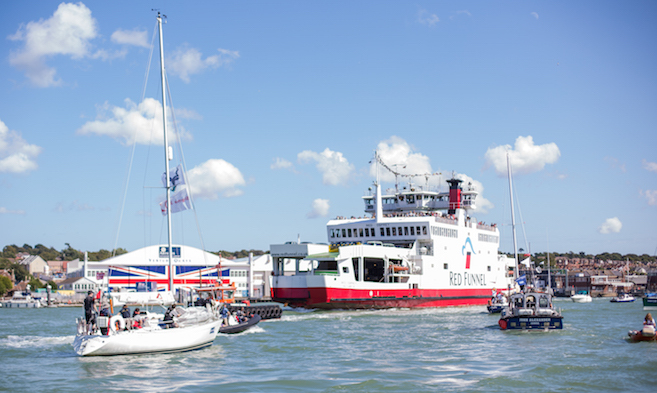 Be prepared for large vehicle ferries entering the harbour turning across the fairway when approaching East Cowes, and for fast passenger ferries crossing the traffic lane when departing from Cowes Town Quay. Certain activities are not permitted within the main harbour fairways: towing of persons; kite surfing; wind surfing; paddle boarding, and swimming. 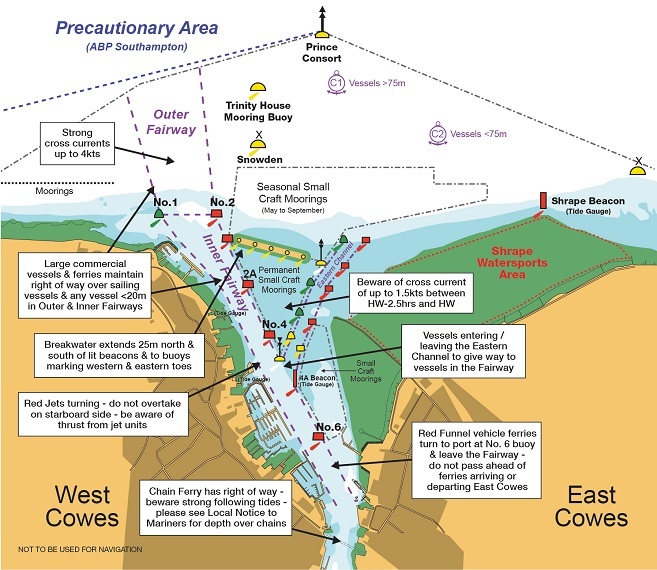 Vessels entering the fairway from the Eastern Channel or marinas should do so with caution and give way to any vessel already within the designated fairway. Before starting any manoeuvre to turn across the traffic or enter any marina always give close attention to all other vessels in the vicinity, especially those astern. Sound signals for manoeuvring may help to clarify your intentions. Do not overtake other vessels unless you can do so without exceeding the 6 knot speed limit and beware of passing too close; it may be safer to remain astern rather than sit abreast of another vessel whilst overtaking slowly.